In the past 9 months I have gotten lots of questions about how I did the HCG diet so as I continue on into my second round next week I am hoping to document some of the things I might have overlooked during my first round. Today I started prepping for round 2 by buying some meat. I went to costco and bought some shrimp and chicken. Then i went to Walmart and got a few trays of 96/4 ground beef. I still need to get myself some fish but I am on my way. I am planning on a 60 day round (give er take depending on my body and weight goal). 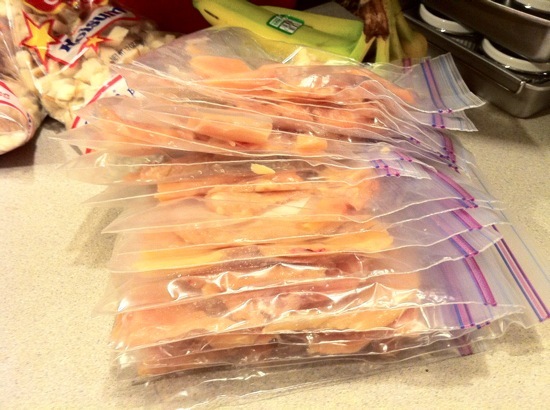 So with two meat servings a day I will need 120 meat packs so prepping a few dozen will take me 1/2 the way. Below I have a few pictures from my prep for your enjoyment. 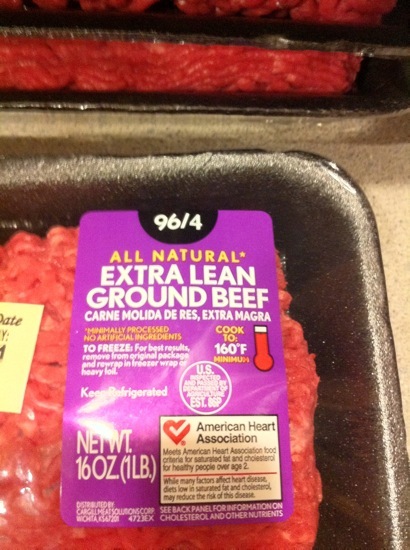 I bought some 96/4 ground beef at walmart in their meat case. my local Walmart only carries it in 1lb trays. They used to have it in larger sizes but I am cool with 1lb trays. This worked well for me in round 1 so I am plannign on using it again. I measured out 3.5oz servings and then i put them into qt. 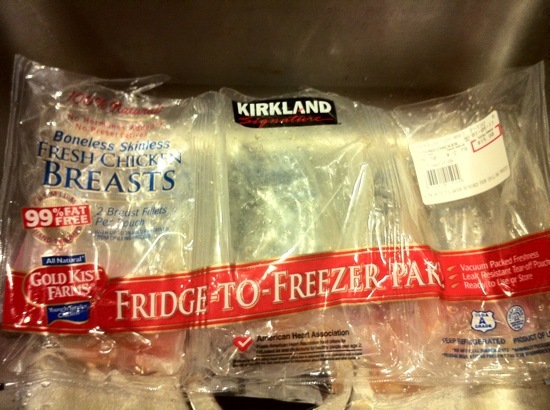 size freezer bags and smashed them flat. flat for easy storage, but it also thaws and cooks very quick. 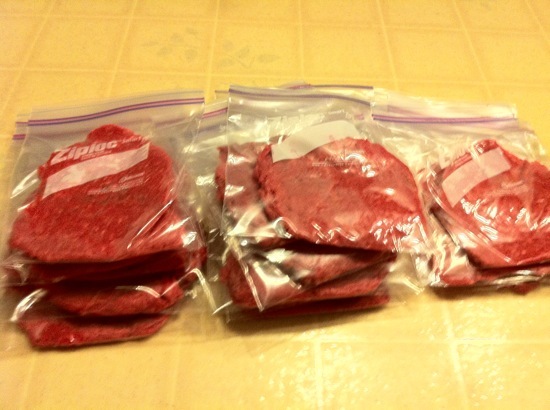 I had my daughter Elsie hold my baggies open and seal them as i handled weighing the meat. 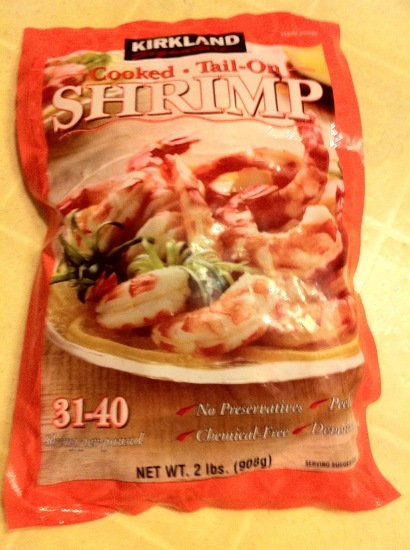 I also have Shrimp i bought flash frozen from Costco. about 8-9 in a 3.5 oz. serving. i don;t bag these jsut grab them by the handful out of the frozen baggie. How exactly do i weigh, if my scale reads anywhere from 3.5-3.7 oz. I am good with that. 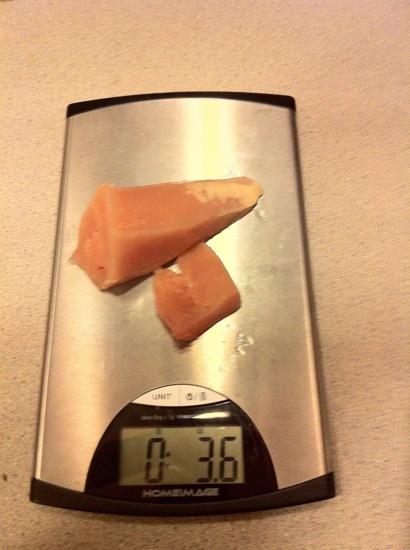 I take out the breasts and use a scissors trim off any fat and then cut pieces of chicken onto the scale till i hit my 3.5-3.7oz zone. 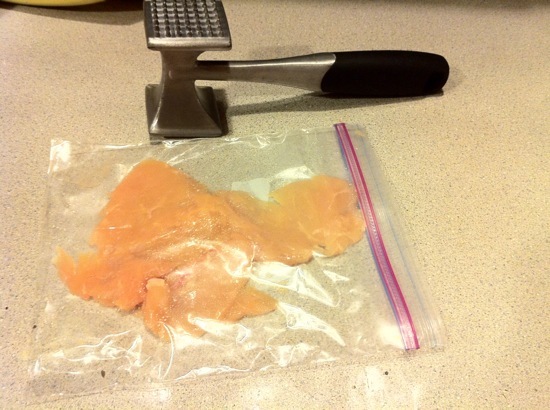 I also bagged and pounded my chicken flat before freezing. I took over a whole basket in our freezer and filled it with my meat packets. This makes it very simple to get out a pack of meat and throw it in a pan and have it cooked in minutes. Tonight I ended up with about 60 servings of meat in my freezer so I am good for my first 30 days. Why all the prep work? For me it is easy to grab a thin piece of meat and cook it fast. It also means that i didn't have to think about what i am doing. My mom went a step further in the process during her round. She would actually cook herself 5-6 meals at one time and then just heat them up. I did this too when I went away last summer and didn't have the time and kitchen resources to cook. But since i am at home during the day I enjoy cooking my meal and having a fresh hot dish. DAY 195 Record Breaking News. . .
DAY 169 I'm going to Disney World! DAY 154 my 5k goal announced!